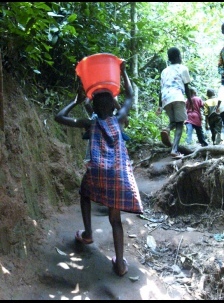 There are so many needs in Congo. It is hard to narrow the list. However, here is the current list of Community Projects that Hope 4 Congo supports: Safe Drinking Water, Micro Business, Sports Camp Evangelism. Please scroll through this page to see representative photos and additional information about each subject. Click here to Donate to any of these projects. Follow us to keep up with current news about our projects. It’s been said that “survival is Africa’s greatest talent”. Hope for Congo can testify to that fact! Hope for Congo works both with the local church and community. The key need within each community is a safe drinking water supply. To that end we look for opportunities to capture water from local springs, to dig wells, to create water containment systems capturing water run-off during the rainy season, and to develop water filtration methods. Bicycles are used primarily for transportation of goods to market. 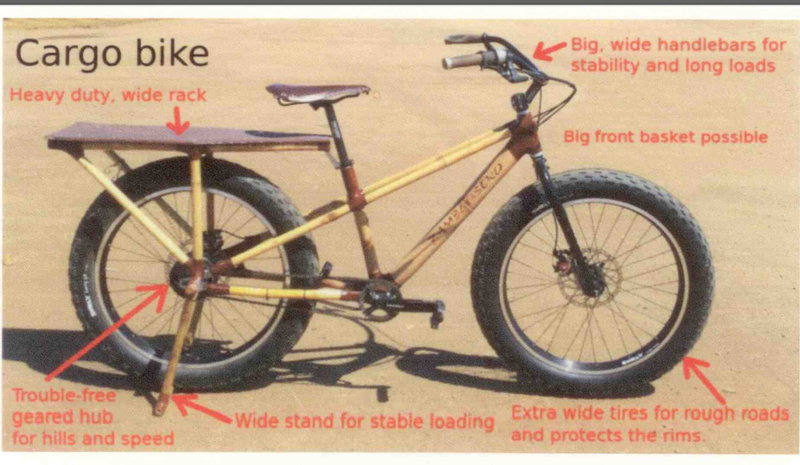 A current project is the development and market testing of a bamboo bicycle that would be affordable and locally manufactured and maintained. 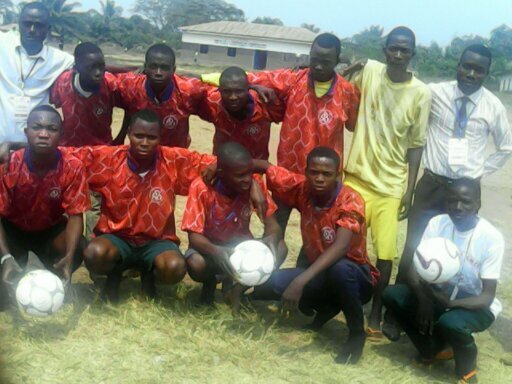 This is a new project for Hope4Congo to support. Please check the blog post for Tuesday, February 17th, 2015 for more details.